An intensive one-on-one program for PT, OT, or Speech where a child comes daily (4 days/week) for 3-4 weeks to focus on specific goals. This model of therapy is supported by research and is ideal for a child who is very close to gaining new functional skills. A model of intervention based on the research and program at the University of Alabama. The program is appropriate for all ages of children with hemiplegic cerebral palsy. Improved motor function of the involved arm is seen when a constraint (cast) is placed on the uninvolved arm, forcing usage of the side with hemiplegia. Led by both an OT and a Speech Therapist, Delectable Discoveries is a feeding program that integrates sensory, oral motor, cognitive, and behavioral strategies to foster developmentally appropriate feeding and mealtime skills. IM works on “training your body and your brain to work better together” via use of a computerized system. 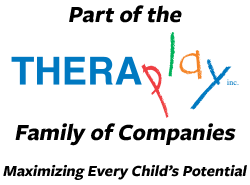 Certified therapists will target challenges related to sensory processing, executive functioning, attention and concentration, processing speed, motor planning and sequencing, and balance and coordination. iLs uses acoustically modified classical music through specialized headphones to provide enhanced or filtered signals in certain frequencies believed to be correlated to certain brain functions. iLs programs are customized to assist each child in reaching their therapeutic goals, ranging from improved sustained attention, social skills, executive functioning, sensory processing, spatial awareness, coordination and visual motor skills. Language Acquisition through Motor Planning (LAMP) Words for Life™ is a therapeutic approach based on neurological and motor learning principles. The goal of this augmentative and alternative communication (AAC) approach is to give individuals who are nonverbal or have limited verbal abilities a method of independently and spontaneously expressing themselves in any setting. A goal-oriented, therapeutic intervention directed by a therapist along side a trainer and dog from Heeling House. The program focuses on enhancing physical, cognitive, behavioral and/or social-emotional functioning of the child using the dog as an adjunct to traditional therapy. Therapeutic Listening® is an intervention used by trained therapists that uses specially modulated and enhanced music to impact the auditory and vestibular pathways of the central nervous system. This specialized music is paired with specific tasks to facilitate improvements in engagement, modulation, orientation to space and time, attention, core activation, and motor planning. A group session designed to make handwriting fun, using the well-established Handwriting Without Tears® program which focuses on multi-sensory activities and hands on instruction. In addition to HWT curriculum, occupational therapists provide fine motor strengthening and sensory therapeutic activities. Short term intensive physical therapy in a motivating group setting that consists of treadmill training using partial weight bearing equipment if appropriate, strength training, circuit training, and interactive media such as Wii Fit. These sessions are perfect for kids with cerebral palsy and supported by numerous research studies. Mindful Masterminds is an executive functioning and social skills group offered at The Children’s Therapy Center. The group incorporates curriculum based on the Unstuck and On Target! program as well as supplemental social skills and executive functioning strategies. The group serves the population of children ages 8-12 with ADHD, Autism Spectrum Disorder, and other executive functioning difficulties. A group program appropriate for children with sensory processing disorder, Down syndrome, high functioning Autism and Asperger’s Syndrome, neurological impairments, and ADHD that emphasizes appropriate communication with peers including how to begin and maintain a conversation, how to listen, and how to take turns. A stretching and strengthening group aimed at improving flexibility, core stability, ability to focus, and body awareness. A program that allows children an opportunity to exercise on equipment typically found at a gym. This program is intended to provide the older child, who still requires therapeutic intervention with the opportunity to circuit train under the supervision of a physical therapist. A program that emphasizes following directions, sequencing, and enhancement of fine motor skills and executive functioning. Cooking activities will be used by an occupational therapist to strengthen the above skills. A group session utilizing dance and gross motor activities to improve balance, coordination, strength, and flexibility. Dancers will do a performance at the end of the session.